Wolters Kluwer provides tax and accounting professionals with research and software solutions that optimize efficiency, streamline costs and drive tighter collaboration. 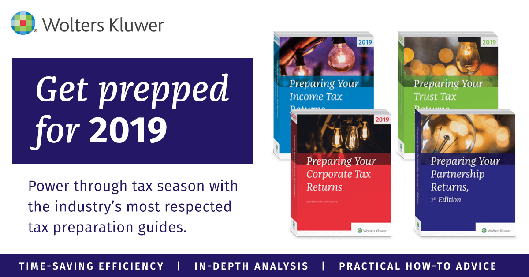 Delivering the most advanced research and tax tools, Wolters Kluwer provides current and accurate solutions corporations count on. Our professional training and development center offers a wide range of seminars and webinars that address complex tax issues. These are held by professional trainers and industry experts. Our tax and accounting resources represent the gathered intelligence of the best minds in the business. Give your students access to the wisdom and authoritative information from industry leaders.